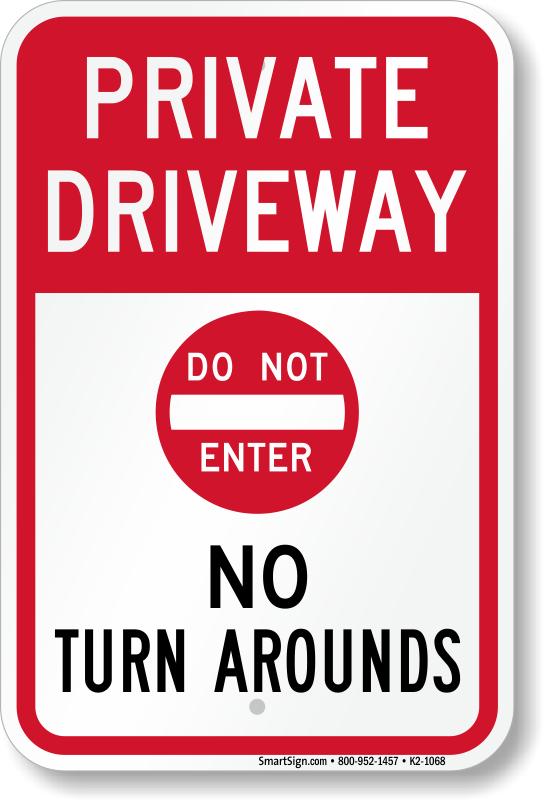 Use this Private Driveway Sign to deter drivers from using your private driveway for turning around. Great product. Looks very durable and nicely painted. Good quality and fast service. 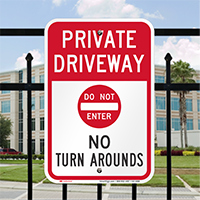 Now looking for other permanent signs I could use. Sign just as advertised. Arrived on time. Good quality. Will use this company again if needed !! Sign came in just a few days. 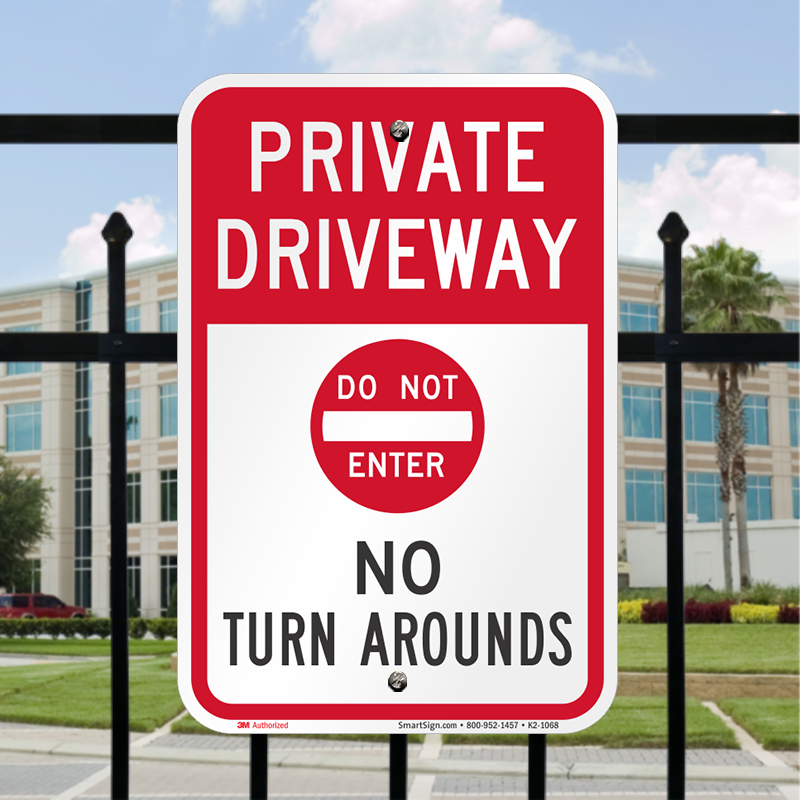 Good quality aluminum with pre drilled holes for sign post. Was perfect and arrived shortly after ordering. An excellent place to get those special signs that are not available in the big box stores.